Just miles from both Denver and Colorado Springs, the central location of Castle Rock makes it a highly desirable place to live. And it’s tucked right into a beautiful mountain landscape that offers incredible scenic views. Due to its nearby location, Colorado Springs Window Film is able to offer its full window tinting services to the residents of Castle Rock. Read the following information to learn more about how window film can benefit your Castle Rock home or business. Surrounded by rolling hills and a gorgeous mountain landscape, Castle Rock is a great place to own a home or business. But you have to admit that sometimes the sunlight can get pretty intense when you’re this high up in elevation. Sun control window film can help keep your building comfortable all year round and drastically reduce your energy costs. If you have a home or business in Castle Rock that’s located in an area that gets a lot of sun, then sun control window film is the perfect solution for you. 3M™ Daylight Redirecting Film from Colorado Springs Window Film on Vimeo. Many of the residents of Castle Rock work in the nearby Denver Tech Center area. If you own or manage a business in DTC, then you may want to consider installing daylight redirecting film. 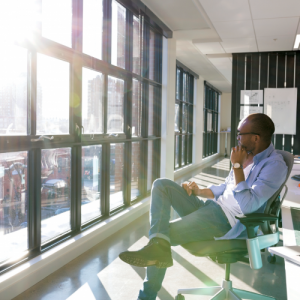 As the name suggests, daylight redirecting film redirects the natural sunlight entering your building to disperse it evenly throughout your workspace. This innovative film can drastically cut down on glare, increase computer screen visibility, and improve employee productivity. Daylight redirecting film offers amazing benefits for business owners from Castle Rock. Downtown Castle Rock is a favorite dining and shopping destination for both locals and tourists. If you own a store or restaurant in the downtown area, you’re always looking for ways to make your place stand out and increase your business traffic. 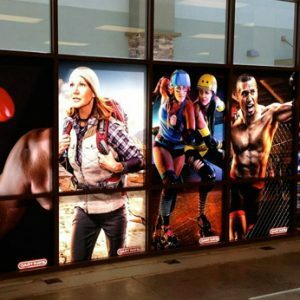 Decorative window film can seriously amp up the style and interior design of your Castle Rock home or business. And it can be printed with any design, pattern, graphic, or texture. With decorative window film, you’re sure to make a statement that will impress all of your guests. Castle Rock is considered one of the safest communities in Colorado. But who wants the risk the chance of a random accident or act of crime seriously damaging their home or business? 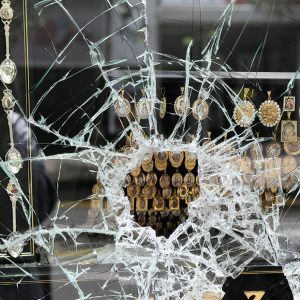 Security window systems can protect your building and keep the people that you care about safe. This type of window film is able to provide defense against everything from natural disasters to bomb blasts. With security window film, you’ll have peace of mind during all hours of the day. Speak to a professional about your window tinting needs. Call our office today to book an appointment or get a quote on window film installation for your Castle Rock property.